Ready for a blast from the past? 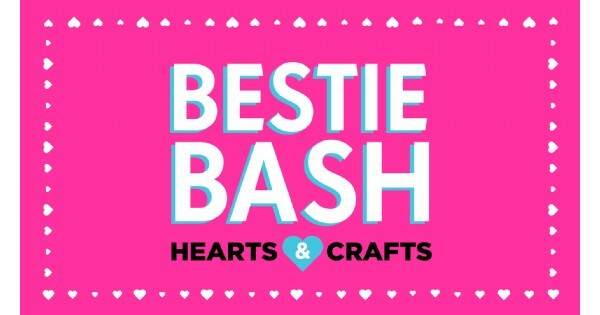 Classic Valentines and so many more fun crafts are waiting to be made at our Bestie Bash. Ready for a blast from the past? Classic Valentines and so many more fun crafts are waiting to be made at our Bestie Bash. Bring your kiddos (and their besties! ), and spend some time together craftin' up a storm at this super cool KidX event. Just head to the Food Court on February 12th from 6-7:30pm - we're excited to spread a little love this Valentine's Day with you! Find more events like "KidX Bestie Bash"
Dayton Mall is the largest super-regional mall in the Dayton-Springfield metropolitan area.